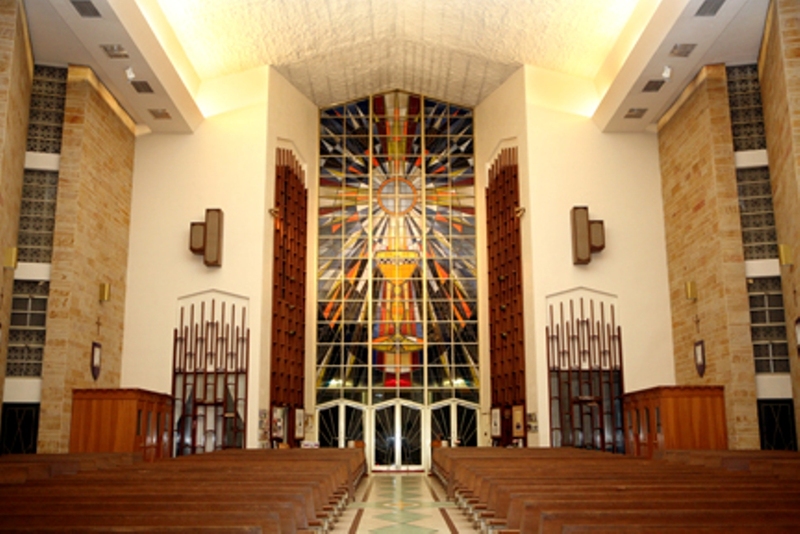 Since October 2, 1944, when Bishop Emmet Walsh established Blessed Sacrament Parish to care for the spiritual needs of all Catholics living West of the Ashley, the parish has been blessed by the generosity and dedication of thousands of Catholic families who have worshipped in Blessed Sacrament Church. Monsignor John J. McCarthy was the first pastor of the new parish. Initially, the St. Andrew’s Exchange Club very graciously offered the use of their building for the celebration of Masses and for religious instruction for children. In May, 1945 ground was broken for the construction of a temporary Church building (now the Parish Hall) and a rectory for the priest (now Church offices). Construction of the new Church was begun on June 1, 1962 and the current Church was dedicated on May 13, 1965. Construction of a permanent school building largely through volunteer labor was begun early in 1948. The school opened in September, 1948 under the leadership of the Sisters of Saints Cyril and Methodius (SSCM). In recent years, the school has been renovated and upgraded to provide a modern state-of-art quality Catholic education for our children. The most recent additions to the school are the Msgr. Hanley Early Childhood Development Center for K-4 & K-5 and the state of the art Technology and Arts Wing. 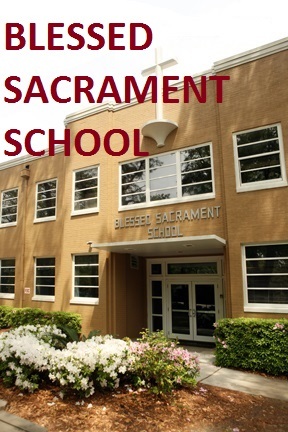 Over these years, 10 SSCM principals and dedicated teachers and staff have provided the foundation for the "Tradition of Excellence" that Blessed Sacrament School enjoys today.